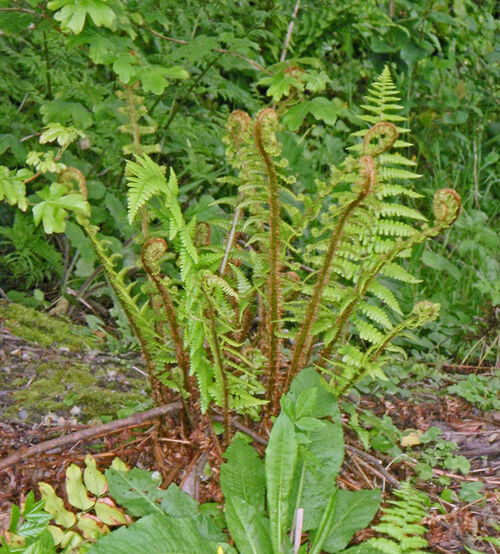 A robust and attractive fern, evergreen in milder areas. Especially attractive in spring as the croziers emerge richly covered in golden scales. A native species, it grows best in moist, well drained soil in partial shade, but it is tolerant of most garden situations including dry shade.